If you're a consultant hired to help improve a client's vacation rentals, start here. You’ve been invited to join an account on Properly, which means either the property manager for that account or the owner of a vacation rental property has asked for your expertise on their property listings. Start by clicking the link in the invitation your property manager sent you. Open the link you received from your client. Create your account using the information your client used to send you the invite. If the client sent you an email, create your account using that email address. If your client sent you a text, create your account using the phone number they sent the text to. Tap Log in and provide the login information you just used to set up your account. 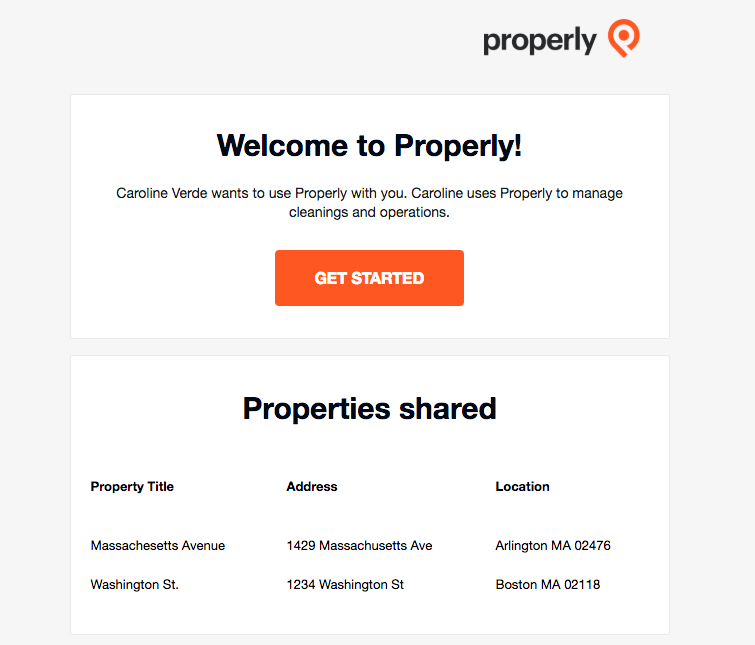 Once you have an account set up, you can view your properties in the Properly app and create checklists for them. You can also look at the Photo Gallery to check out previous photos of the property when it’s been staged by cleaning professionals.